A preview by Louise/4Tay of the ‘Tour That Never Ends’ which kicks off in Washington state on April 27th. All photos by Louise Uznanski. Taylor’s going to Washington to visit Lincoln? Yes, that’s correct. Spring has definitely sprung and Taylor Hicks and his band will launch their 2011 tour in Washington state with stops at the Lincoln Theater in Mount Vernon, WA, on April 27th followed by an April 28th show at Snoqualmie Casino-Ballroom in Snoqualmie, WA. 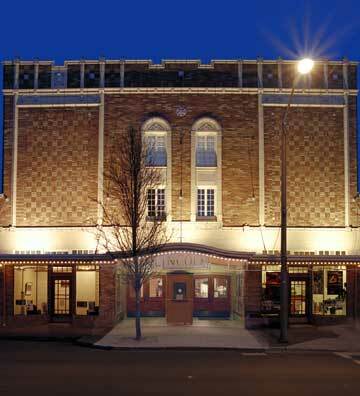 The Lincoln Theater is a historic site that hosts a variety of entertainment and educational shows from concerts to opera to seminars and photography exhibits. The theater’s mission is to offer their diverse community a wealth of cultural events and sustain the Lincoln Theater’s presence in the city of Mount Vernon. Taylor appeared in Washington state on his 2007, 2009 and 2010 tours so the anticipation of his fans for this return engagement is edging up to the top of the chart. 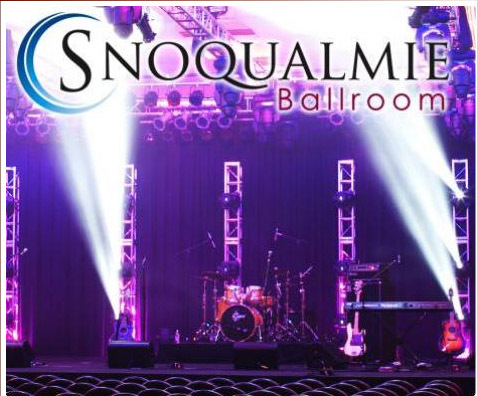 April 28th finds Taylor and his band (band members have not been announced as of the publication of this post) making their way to Snoqualmie Casino-Ballroom for a show in beautiful Snoqualmie, WA. Casino shows have traditionally been among the best concerts for Taylor and this venue promises to be a big hit with fans of great music in a beautiful setting. Taylor appeared in Seattle in 2009 at the Triple Door while touring with the National company of Grease. The show was a sell out and Taylor gave a show that will not soon be forgotten. The crisp temperatures, misty air and hip dinner theater venue combined with a hot band made it a memorable evening for the capacity audience. So is Lincoln ready for Taylor to come to Washington? Not certain if Abe is ready for the whirlwind that Taylor Hicks brings to town, but the fans in the Pacific Northwest cannot wait to see their Idol return to the Washington stage at the Lincoln and Snoqualmie venues at the end of April. Thanks, Louise! It’s exciting to see the Taylor Hicks Band on tour again. I wonder if some of the new Nashville sound will find its way into the spring shows? Appreciate this fine preview and photographs – thank you! New music would be nice! Thanks everyone! Thank you for this excellent preview and beautiful photos, as always, Louise. This tour becomes more exciting by the day! Good job — catchy writing and fantastic pictures. Love to see Taylor Hicks strut his stuff! Great preview Louise. Can’t wait to get to Snoqulmie and see “our” guy!! Taylor always puts on a fantastic show. You certainly take beautiful pictures!